diana lynn's painting a day: Schareeet! A whistle. Can't see one and not think of gym class. Gym was not my forte. Maybe because I saw my class schedule in the 7th grade and I thought I was going to "gum" class. I was so totally disappointed after that. 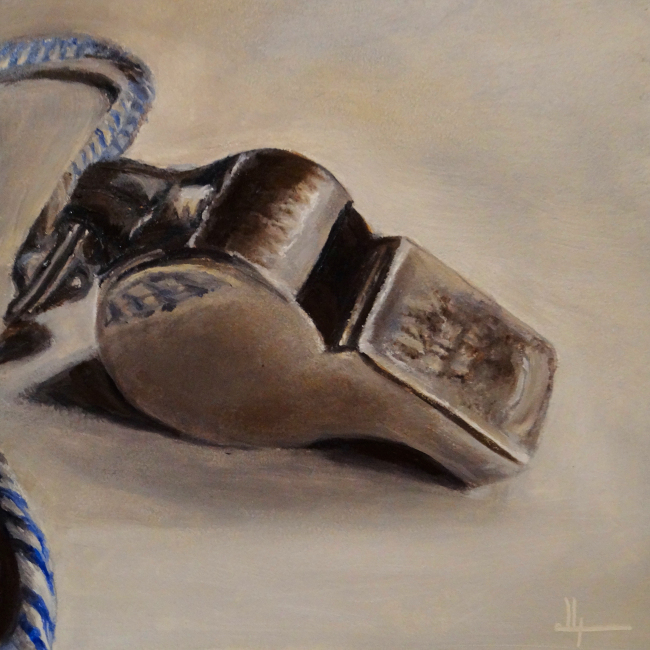 I like this painting, especially the small piece of rope in the bottom left and it's reflection in the whistle. I think I may chew some gum and then blow the whistle - just for old times. A Weekend With My Dad.